In this article, we will be building an Angular 6 CRUD Application step by step from scratch. We will be generating our Angular 6 CRUD Application using angular CLI and then modify it to have a Employee Management Project which performs CRUD operations such as create, read, update and delete employee with the sample Spring Boot REST API exposed using HttpClientModule. We will also be using RouterModule to have routing enabled. Angular is a platform and framework for building client applications in HTML and TypeScript. Angular is written in TypeScript. It implements core and optional functionality as a set of TypeScript libraries that you import into your apps. 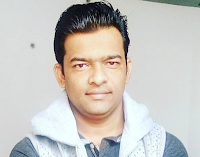 In this Angular 6 application, we will be consuming spring boot CRUD rest API exposed at Spring Boot 2 JPA MySQL CRUD Example article. If you are looking for Angular 6 with spring boot 2 integration example then check out Spring Boot + Angular 6 CRUD Example article. Angular v6 is the first release of Angular that unifies the Framework, Material, and CLI. @angular/core now depends on. Both the CLI and generated project have dependencies that require Node 8.9 or higher, together with NPM 5.5.1 or higher. Let's develop a step by step Angular 6 SPA(single page application) to consume CRUD Rest APIs exposed at Spring Boot 2 JPA MySQL CRUD Example article. The Angular CLI is a command-line interface tool that you use to initialize, develop, scaffold, and maintain Angular applications. If you are new to Angular CLI then check out official documentation at https://cli.angular.io. Once installed, let's use below command to generate Angular 6 client application. We name this project as "angular6-springboot-client". Check out angular official Workspace and project file structure documentation to learn a lot about angular 6 application development, project structure, and workspace. Let's list out what are components, service, and modules we are going to create in this application. We will use Angular CLI to generate components, services because Angular CLI follows best practices and saves much of time. In this next step, we will generate these components, classes, and services using Angular CLI. We will use bootstrap 4 for styling our application so let's integrate bootstrap 4 with angular 6. Use NPM to download Bootstrap & JQuery. Bootstrap and jQuery will be installed into the node_modules folder. Let's discuss each of the above generate components and service files and we will customize it as per our requirement. Let's update the EmployeeListComponent component which will be used to display a list of employee, create a new employee, and delete an employee. Defines the logic for the app's root component, named AppComponent. The view associated with this root component becomes the root of the view hierarchy as you add components and services to your app. Defines the HTML template associated with the root AppComponent. Defines the root module, named AppModule, that tells Angular how to assemble the application. Initially declares only the AppComponent. As you add more components to the app, they must be declared here. As we already started Spring boot application. Now let's run this Angular 6 application. Note that update employee functionality is not implemented so you can take as exercise and try to implement yourself (Tip: Add an update button to the employee list page and based on employee id you can implement update functionality. Note that Rest API is already created for update employee functionality).